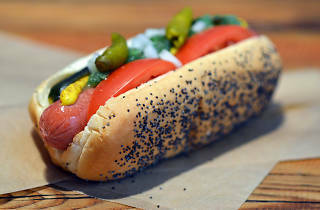 You may love to eat hot dogs while drinking beer, but how do you feel about drinking beers that are inspired by the nine ingredients present on a Chicago-style hot dog? 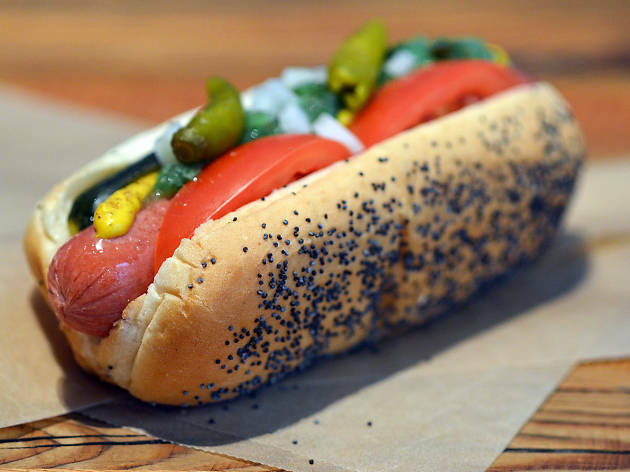 You'll get the chance to sample brews based around the savory flavors of poppy seed buns, beef wieners, tomatoes, dill pickles, onions, relish, sport peppers, mustard and celery salt. Participating breweries like Forbidden Root, Half Acre Beer Company, Marz Community Brewing, Moody Tongue Brewing Company, Revolution Brewing and Vice District Brewing will be producing 18 different beers for attendees to sample—two based around each ingredient. Only 300 tickets will be sold, so snap up a pair if a sport pepper pilsner sounds remotely appealing to you. Proceeds benefit the Chicago Brewseum, a forthcoming museum that will be dedicated to beer.